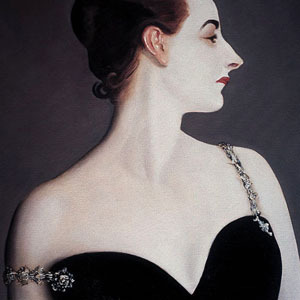 "John Singer Sargent: Painting Madame X" was conceived with a "museum" audience in mind, but has played with great effectiveness to audiences of all ages (though it is recommended for high-school and above). The play is completely self-contained and has minimal technical requirements, and offers complete program support including ready-to-print posters, mailers, programs and discussion guide (written for High School audiences). The program consists of the play -- 40 minutes of intense and engaging theater -- followed by a discussion led by the performer/playwright.